Why the Camp Lady? For starters, our knowledge and expertise on everything Summer is FREE. We are dedicated to helping you find the perfect summer adventure for your child. Not only are we moms, but we are former campers who live to share our own camp experiences. With over 30 years of camp knowledge and more than 550 summer programs, we have you covered. We have done our homework too, having walked over 1,000 miles in camp trails each summer we know which camp has the best art programs to the cleanest bunks. Anyone can find a camp, we can find the right camp for you! For over the past 26 years, Patti Roberts has seen how kids grow through their summer experiences. She has traveled across the country visiting camps, traveling with teen tours and seeing different college programs for one reason, to find the ultimate summer experience for your child. Not only is Patti a life long camper herself, her daughters went to camp in Maine and she lives to share her camp memories. 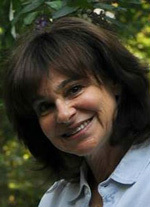 Sue Ellen Greenberg lives in Franklin Lakes, NJ with her husband and their two sons, who both attend summer camp. Her advice is based on years of experience as a classroom teacher (with a B.S. and M.S. 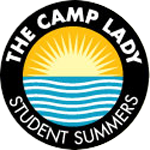 in education and a learning consultants degree), as a teen program director, a camp counselor and, of course a camper. She considers her guiding principle to be: the best camp or teen program for your child is the one that is most compatible to your child’s personality. Sue Ellen spends her summers visiting camps and programs while in session to be able to give you the most current first hand information. 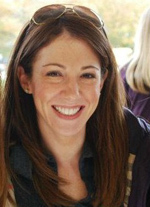 Jennifer is a lifelong camper who spent many years at both day camp and overnight camp as a camper, CIT and counselor. She lives in Pennsylvania with her husband and two sons and still maintains many of the friendships that she developed in her years as a summer camper. Jennifer is passionate about the value of camp in a child’s life–building self esteem, confidence, independence, social skills and most importantly friendships. She works with parents to make sure that children and young adults of all ages can find the summer camp that is best for them. Ricki is an exemplary product of camp! She attended sleepaway camp as a camper for 9 years, and then not only had her bat-mitzvah there, but while working as a counselor met her husband who was a fellow counselor at the same camp! 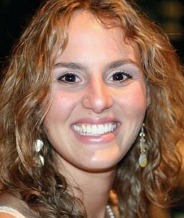 She lives in Weston, Florida with her husband and 2 children. She is ecstatic to be sending her daughter to the camp that holds so many warm & wonderful memories to her. 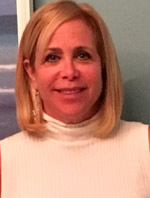 With a Master’s Degree in Education, Ricki has a strong foundation & experience working with children, and is able to combine this skill with her knowledge of camps and tours to find the perfect summer experience for your child.